Ivan Drago, Rocky's opponent in Rocky IV, is certainly a powerful man. In the film we see computers measure his punch as 2,150-psi, but that is simply the tip of the iceberg. Drago is so strong that his punches can smash holes in the fabric of reality, and he used this power to bring down the Soviet Union. This idea already has fictional roots. In the DC comics universe, Superboy Prime is strong enough that he can reshape reality by punching it. We know of the Multiverse, and DC characters have travelled to the Marvel universe, so the idea that an incredibly strong being can have reality-warping punches is a real concern in any universe. How does this affect Rocky though? 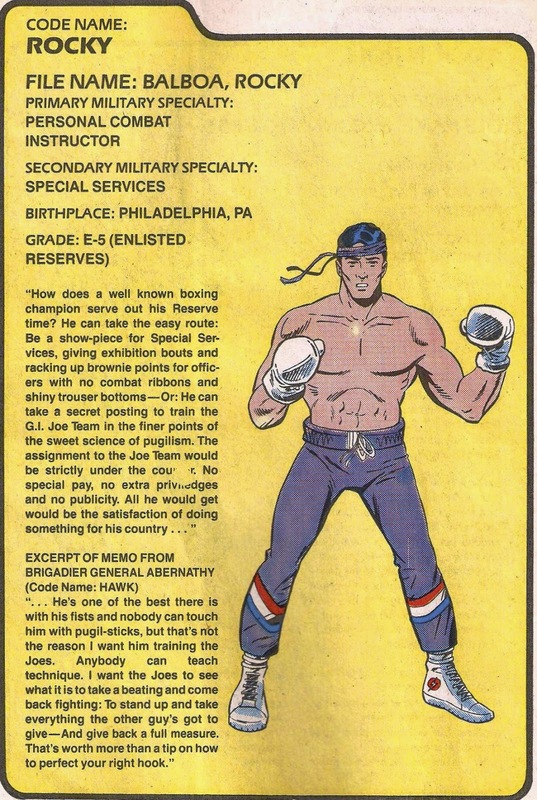 Rocky was a member of GI Joe in the Marvel comics. Yes, the government later denied all knowledge of Rocky's participation in the GI Joe unit, but of course they would, it was a military organisation and as such any personnel data would fall under the Official Secrets Act. We can see from the above that Rocky has a GI Joe filecard, that is an irrefutable fact. So Rocky lives in a world where it is a real concern that a sufficiently strong man can punch holes in reality. Before Drago appears on the screen, the Rocky universe is very close to our own. We see the gritty, realistic urban decay of America, and Rocky's struggle as he rises to the top and deals with gritty human issues. Then Drago arrives. Punch. Punch. PUNCH. What's this? Rocky has suddenly gained a sentient robot maid! 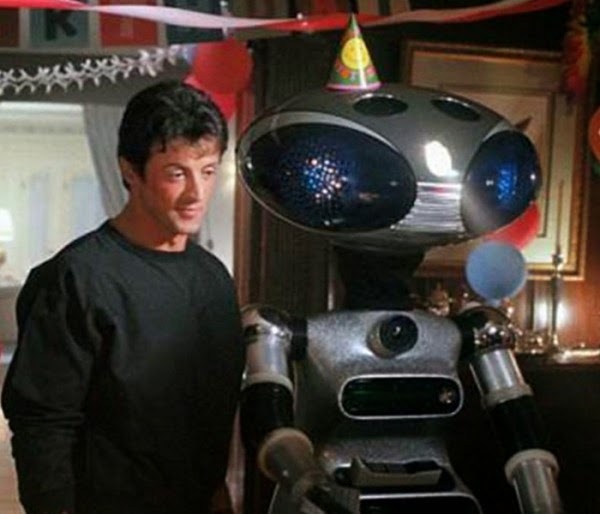 The robot clearly has intelligence that cannot be explained by mere pre-programmed commands, as it is able to talk and react to Paulie throughout the film. Where has this incredible level of technology come from? Why has reality changed in this way? The answer is Drago. The power of his punches causes ripples in the fabric of reality itself, far above the mere 2,150-psi we see in the film. His powers only work when he punches flesh however, and so the changes are small. 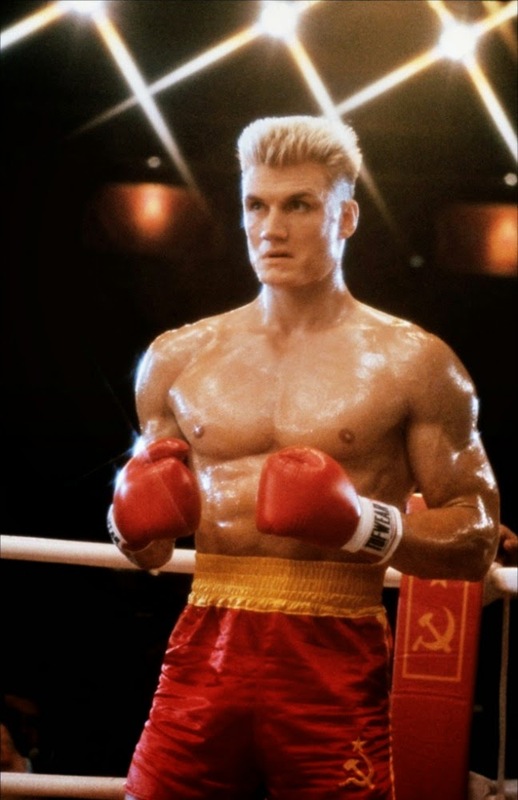 This is why Drago is so keen to fight Rocky - he needs an opponent he can go the full 15 rounds with in order to reshape reality and destroy Communism. Rocky is literally the only man who can take such a punishment. Apollo Creed was a good second choice, but was unable to take the punishment. Notably after the fight we see strange reality-warping effects as Rocky is subjected to strange visions of the past and multiple time-jumps. Then Drago fights Rocky. We see Drago's contempt for his Communist handlers as he screams "I win for me! FOR ME!" He doesn't want to fight for his masters, he wants to destroy the system itself. An incredible thing happens during this fight - in the space of 15 rounds, Moscow loses its love of Communism and embraces Rocky as a hero. Gorbachev himself applauds the end of the fight and accepts Rocky's speech that the world needs to change. Clearly something strange was in the air to end the Cold War in the short space of a boxing fight, and Drago's punches were the answer? The most damning evidence comes straight after the fight. Rocky returns home a few days later, to find that his son has aged five years. In Rocky IV his son is 9 but in Rocky V his son is 14. Rocky V takes place directly after Rocky IV. Reality has shifted dramatically, and no-one seems to notice. In this new reality that Drago has punched into existence, Rocky's son was clearly born a few years earlier. In this new reality, the robot no longer exists. In this new reality, suddenly Rocky is left without the support of America despite his world-defying exploits. It defies logic... unless this is a new logic brought in by Drago. The Cold War has ended. But the world that emerges is a new world, a world shaped by the magical fists of Ivan Drago. I love this theory so very much.